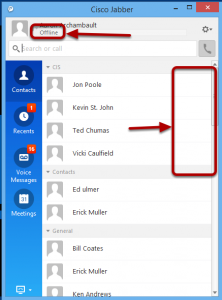 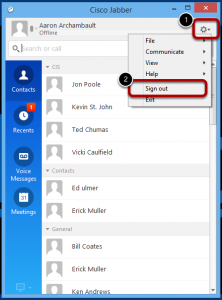 If you experience Jabber going offline, you may notice you can no longer see that status of individuals, and you will see your status as offline. 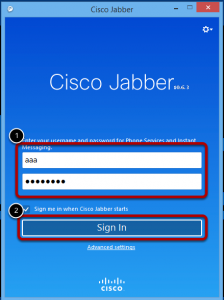 This may requre you to login back into jabber. Choose Sign out from the menu. Confirm that you are signed into Jabber and your status is Available, or any other status except offline. 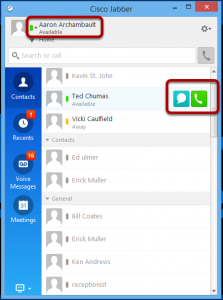 You should also be able to highlight users and have the option to Chat or Call.